OR £14.41 per week 0% APR ? The Chesterfield Classic York Slipper Chair with Hardwood Polished Frame, Deep Buttoned High Back and Seat upholstered in Real Genuine Leather. A classic English Rocking Chair with elegant curves accenuating the Polished Hardwood Manufactured in UK. A classic English Slipper Chair with beautiful curves accentuating exposed polished hardwood framework. With buttoned leather seat, back and arm rests. 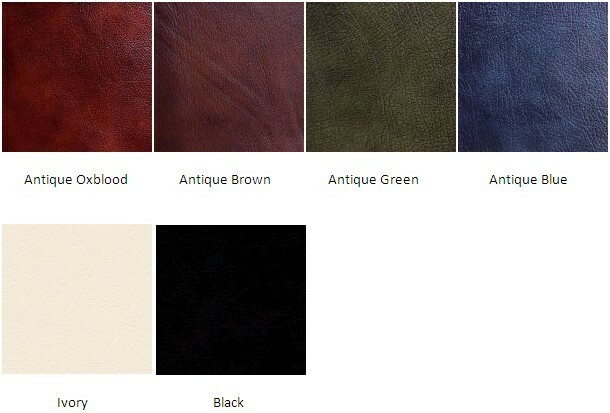 The Chesterfield York Slipper Chair - is available in the following leather colours below.